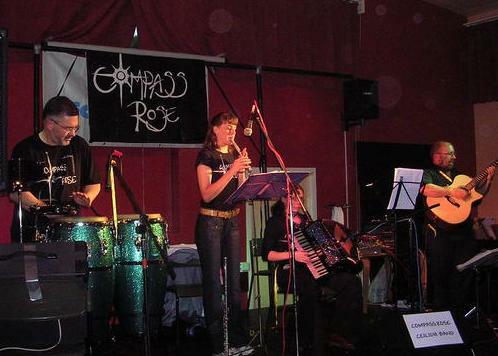 Compass Rose Ceilidh Band is based in Co Durham and performs throughout the North East of England i.e. Co Durham, Teesside / Tees Valley, North Yorkshire, with occasional excursions further afield. The provide a complete evenings entertainment for you at all sorts of events: Church and Village Halls, Scout Socials, Fundraising Events, Private Parties, University Balls, Weddings, Festivals, etc. They play Northumbrian, Irish & Scottish Music as well as the Ceilidh's which are suited to St Patrick Day Celebrations or Burns Night Celebrations. You can dance away the night to a full band with caller or their duo 'Nebula' whatever and whichever you choose to book, you'll have a fun night out, with lots of toe-tapping or just sit back and listen... the choice is yours.